Walk the first two days of the track from Ship Cove to Camp Bay, then kick off your hiking boots and explore the Sounds by sea kayak. Combining these two adventures offers a truly unique experience and allows you to fully immerse yourself in this stunning landscape. Note: There are a number of alternative options available on the Queen Charlotte Track, including Guided 1 - 5 Day Walks, Self-guided Walks, and Boutique & Luxury Accommodation as well as camping/budget options. Larger groups and families can also be catered for with tailored itineraries. Please contact us for details. Accommodation consists of 3 nights in comfortable lodges in spectacular settings. Your first night is at Furneaux Lodge. 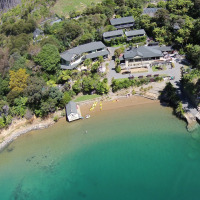 Your second night is spent at Punga Cove Resort. The last night is at Lochmara Lodge. Spring (September to November) sees many native plants in flower and is also a relatively quiet time to walk the track. Summer (December to February) offers long, warm days, though this can be a busy time on the track. Autumn (March to May) offers ideal conditions with warm, tranquil days and cool evenings. This small group walk departs every Tuesday from October through to the end of April. You will need to arrive in Picton the day before the tour commences as there will be a pre-tour briefing this afternoon. Accommodation is not included in Picton so please let us know if you would like assistance with this. 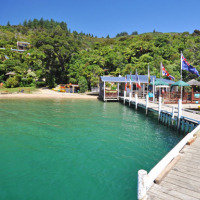 Following collection from your Picton accommodation this morning, we will depart on the boat trip to Ship Cove, stopping at Motuara Island en route. Here we take a short walk to the lookout which offers spectacular 360 degree views of the Marlborough Sounds. Arrive Ship Cove late morning and begin the Queen Charlotte Track. This day is considered the premier section of the Queen Charlotte Track. Our walk concludes at the historic Furneaux Lodge where we will stay overnight. From Furneaux Lodge we continue along the coastal walk, through native bush to Endeavour Inlet where we learn more about the mining industry (antimony) that thrived here in the 1880's. We continue along the track towards the pristine native beech forest at Big Bay, then on to Camp Bay and our overnight accommodation at Punga Cove. We will then enjoy around 4 hours of paddling on the sheltered waters, learning about the history of the sunken valleys of the Marlborough Sounds and the wildlife we see along the way. 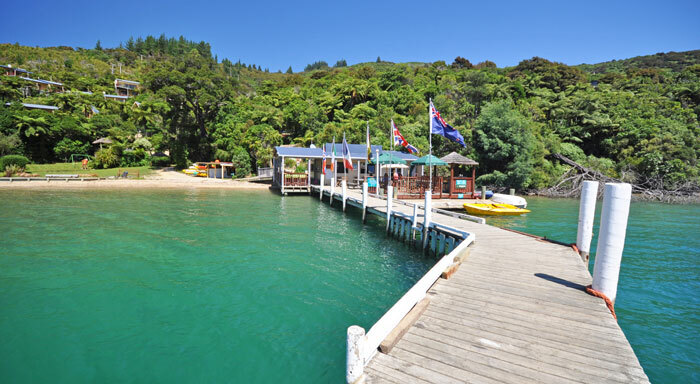 Enjoy a picnic lunch of local Marlborough fare on one of the pristine beaches. Our day ends at the beautiful Lochmara Lodge. 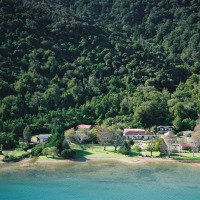 From Lochmara Lodge we paddle in and out of secluded bays and coves and towards the Grove Arm of Queen Charlotte Sound. After a sumptuous final lunch, we continue paddling either into Picton Harbour or nearby Ngakuta Bay, depending on weather conditions. Total paddle time is around 4 hours and we should arrive back to Picton by 3.30pm. There are plenty of ways to get to Picton, depending on where you are originating from and your preferred mode of transport. The closest airport is Blenheim (about a 20 minute drive from Picton) and there are direct flights with Air New Zealand from Auckland, Christchurch and Wellington. From Wellington you may also choose to take the ferry across Cook Strait to Picton. If you are coming from Christchurch, a popular option is to take the scenic rail journey. Having reasonable level of fitness will make this journey more enjoyable. If you are active 2 or 3 times a week (walking, golfing, running, gym) then this is an excellent base for doing a multi-day walk. The Queen Charlotte Track does have some steeper sections, so doing some hill walking prior to this trip would be a good idea, as would doing at least one long day walk.